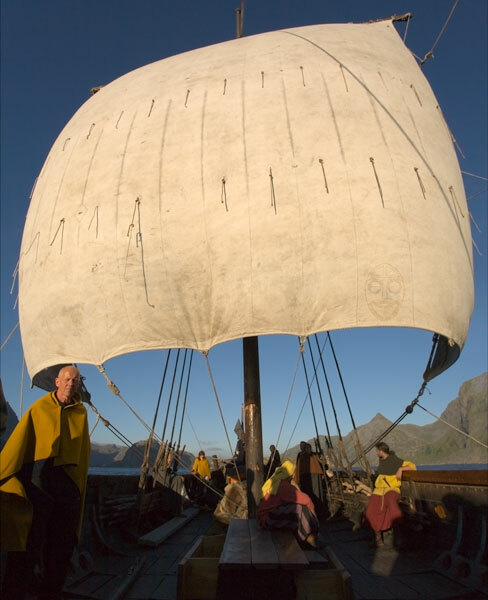 The longship is part of the popular image of the Vikings today but there were many different types of boat for different purposes. so far no two boats have been found that are the same. 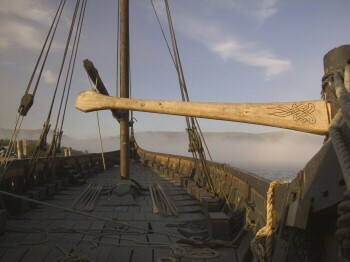 There are some characteristics that make Viking boats distinctive. The hull is made up of overlapping planks of wood that are held together with iron rivets. This construction is both strong and flexible, qualities necessary for ocean going vessels. 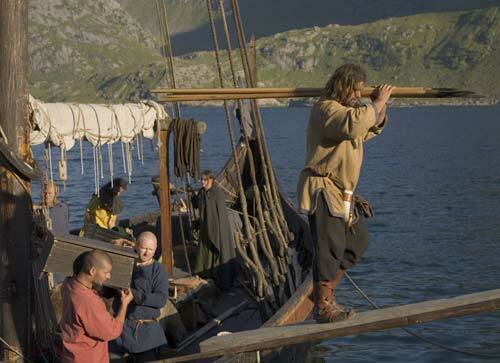 To maintain this flexibility, the hull of some ships was fixed to the main timber frame with ties rather than nails. 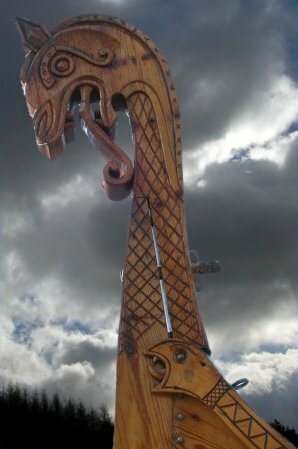 Viking ships were pointed at each end and wide in the middle, this often meant that they could sail in relatively shallow waters. To date no sail has survived intact but we have much pictorial evidence that they bore a square sail. 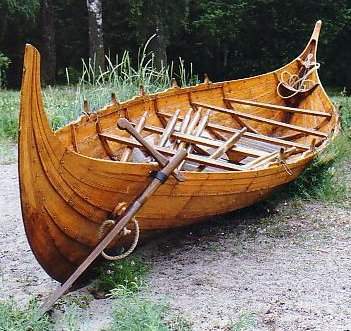 Modern reconstruction’s prove that this is a fast and manoeuvrable combination and if wind was lacking most ships carried oars, also useful for close handling. It would appear that ships did not have permanent oar benches so the crew must have sat on sea chests to row the ship. In practice this is quite useful as it gives each crew member a space for personal equipment which can be moved about when needed. 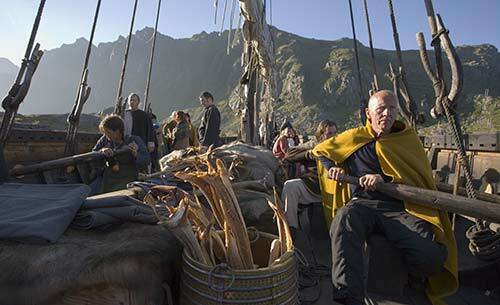 At the right side of the ship near the back is a large paddle tied to the hull for steering. This practice gives us the term still used for the right side of a boat “starboard” from the old words “steor”- rudder or steering paddle + “bord”- ship’s side. For many years the left side was called “larboard” from the words “laden”- to load + “bord” this arises because to prevent the steering paddle from being damaged the boat was landed with the quay on the left so they could be loaded. Having seen for myself the confusion caused by the similar sound of the words starboard and larboard at sea, it is no surprise to me that “port” replaced “larboard” in the sixteenth century. Interestingly the meaning remained basically the same. This tradition survived for many years and is shown on the Bayeux Tapestry to have be practiced even by supposedly Christian sailors.